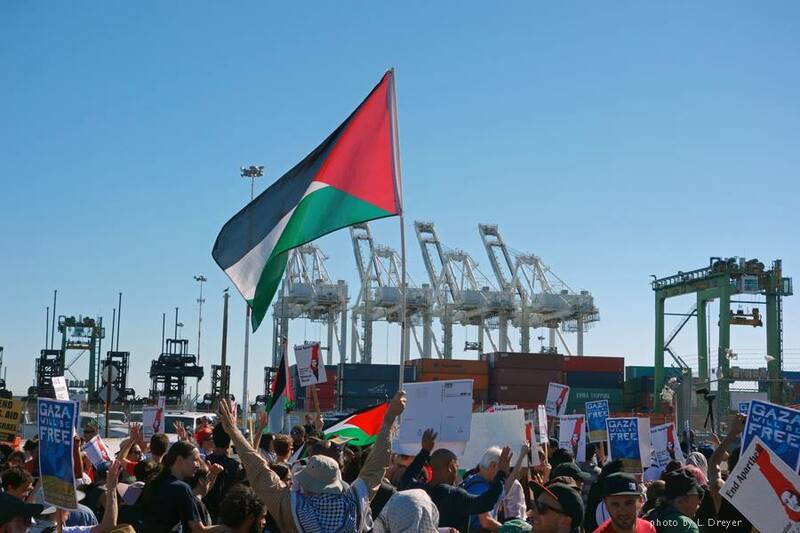 Oakland has made history once again with another BDS victory for Palestine against the Israeli Zim shipping line. This latest round of organizing has been the most momentous and historic. Members of ILWU Local 10 informed Block the Boat organizers that the Zim Beijing which was headed to the Port of Oakland, has been re-routed to Russia to avoid disruptions at the SSA terminal. 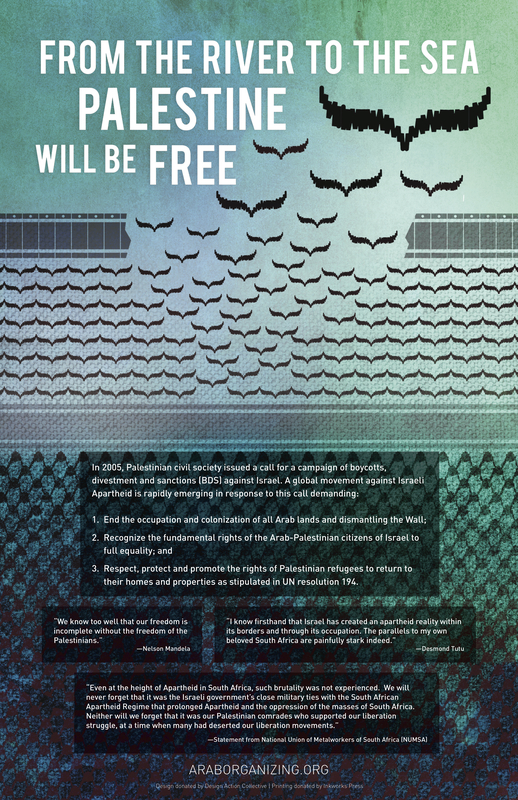 For the first time ever, an Israeli ship has been completely turned away before reaching its port of destination due to sustained overwhelming community organizing. The damage to Israel’s credibility can’t be exaggerated–the Zim line, though privately owned, is an Israeli “security asset.” Israel exerts control over the corporation through a “golden share” which it uses to prevent the sale of the company into foreign hands. The Zim line is mandated to be part of Israel’s critical supply chain during protracted military conflicts. The brand and economic impact on Zim has yet to be calculated, but is surely devastating. Goods have been rerouted, and undelivered for months. ILWU workers have honored our pickets and sided with the community against US complicity in Israeli apartheid. Zim has been disrupted and confronted by anti-Zionist protests in Seattle, Tacoma, Los Angeles, Vancouver, New Orleans, New York and Tampa. Ports all over North America are making it clear that Israel can no longer conduct business as usual because Zionism is simply not welcome on our coasts. We also tracked the ship via satellite using an online marine tracking service and documented that the ship listed its destination as Oakland just minutes after it left the Panama Canal–the norm for Zim ships on the Asia Pacific line, which stop at either Los Angeles or Oakland before heading to China and Russia. Just days into its 9 day journey from the Canal, however, Zim abruptly removed Oakland from its online schedule, and headed northwest, taking it ever farther from Oakland. It is clear that the Zim Beijing diverted course in response to the powerful Block the Boat organizing. In August, Block the Boat organized and inspired a series of historic night and day pickets, which with the support of ILWU workers, prevented the Zim Piraeus from unloading for 4 days, and eventually forced the ship to leave before even a fraction of its cargo could be unloaded. In September, Zim faced another set of pickets that forced the Zim Shanghai to offload in Los Angeles, rather than its intended Oakland destination. The Block the Boat coalition along with the broader Bay Area community has made it clear that we can determine what takes place in our towns. And business with the racist, exclusionary, Zionist state of Israel, which works alongside local and federal law enforcement to repress our communities, will not go unchallenged. Activists remained focused throughout Zim’s obfuscations, organizing for a large turnout to picket the Beijing whenever it would arrive–Saturday, Sunday, or any day of the coming week. Given the convoluted maneuvers Zim used in August, in which it left the port under the cover of an Israeli consulate press release, only to return to another terminal less than an hour later, organizers now know to be thorough and patient. After tracking the Zim Beijing for several days, Block the Boat prepared for a week of possible pickets by staging a late day march of hundreds on Sunday to the Port of Oakland to show the strength and focus of this movement. It was a warning to Zim to keep going as it reached the 1000-mile mark from Oakland and a promise that the gates would be lined again with unstoppable anti-Zionist picketers if it returned. As the Beijing sails beyond the horizon, it still bears the destination of Oakland, though it is over 1200 miles away from San Francisco Bay at the time of this statement. Our efforts have paid off; Zim Beijing does not appear to be turning around. Even if it did reverse course and head back to Oakland at this point, it would be a week late, and it would find us once again, prepared to stop it at the port. We are declaring a historic victory in our effort to block the Beijing. It is very likely that Zim has been completely prevented from doing any future business at the Port of Oakland. Only time will tell if Zim’s changes to its schedule reflect the real re-routing of its ships, or simply just another ruse to fool opponents of Israeli apartheid. Obviously, here in Oakland, we are ready for Zim’s return any time. Together with our brothers and sisters from Ferguson to Palestine, we are fighting back against state violence and apartheid and we are prepared to bring it down brick by brick, wall by wall, port by port.